Hendrick Hudson discovered the Hudson River in 1609, sailing his ship the Half Moon north anchoring at Verplanck’s Point. 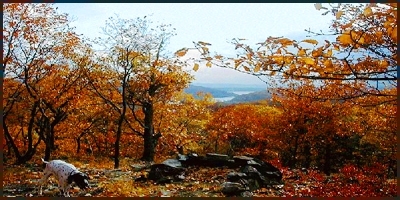 Cortlandt derived its name from the Van Cortlandt family who began purchasing land in 1677 from the Croton River north to Anthony’s Nose and east to Connecticut. Cortlandt was the site of many skirmishes during the Revolutionary War. Local Roads, such as Watch Hill and Furnace Dock Road, where the furnaces that made ammunition for the war effort were located, bear names reflecting the Revolutionary time. With a total area of 34.5 square miles and an estimated 2010 population of 31,292 persons, the unincorporated Town of Cortlandt composition, in relation to the County, remained constant since the last census with approximately 7.8 per­cent of the County's total area and 3.2 percent of its population. Although much less densely populated than the county as a whole, Cortlandt's population density is slightly higher than the average for the North County communities. In 1788 under the Township Act, Cortlandt became one of 20 townships in Westchester County with Philip Van Cortlandt as the first Supervisor. During the 19th century the railroad was extended to the area and industrialization began to occur with the hamlet of Verplanck becoming an important brickmaking center. Through­out the late 19th and early 20th centuries the Town of Cortlandt was predominantly a rural, agricultural community with seasonal bungalow colonies serving the residents of New York City. By the 1950's Federal housing programs, combined with improvements to the road network and the railroad, led to the suburbanization of the Town, which was typical throughout New York State. Today, many residents of the Town commute to the major employment centers of New York City and White Plains. Over 94% of the Town's land is zoned for residential or open space while only approximately 6% is zoned commercial or industrial. Approximately 26% of the Town’s land area, approxi­mately 5,800 acres, is preserved open space. This open space includes public parkland as well as lands owned by various environmental organizations such as Brinton Brook Sanctuary, Teatown Reservation, Mcgregor Preserve and the lands of the New York City Watershed. In order to help preserve this residential character and balance the protection of the environment with economic development the Town Board created a professionally staffed Planning Department in 1974. In addition the Town has undertaken various studies and plans including the North Cortlandt Study of 1981, the Central and Southern Cortlandt Study of 1987, the Comprehensive Master Plan of 1991 and the Comprehensive Master Plan of 2004. The Town is currently updating the 2004 Plan and intends to adopt a new Comprehensive Master Plan in early 2016. The Town of Cortlandt is located in Westchester County which occupies a 450 square-mile area bounded on the west by the Hudson River, on the north by Putnam County, on the east by Fairfield County, Connecticut, and the Long Island Sound, and on the south by the Borough of the Bronx, New York City. The county has an estimated 2010 total population of approximately 949,113 persons and encompasses six cities, 14 towns, and 23 villages. The majority of the principal roadways and all the railroad lines in West­chester run north to south, following the orientation of the river valleys. Residen­tial development has historically followed this pattern, spread­ing north as densities increased in the South and Central County areas. Over all journey-to-work patterns are also primarily north to south because of the concen­tration of employ­ment centers in New York City and southern and central Westchester. Within the Town of Cortlandt, however, travel patterns are often east west to access major traffic arterials. The City of Peekskill, estimated 2010 population 23,570, fronts along the Hudson River and is surrounded by the Town of Cortlandt on the other three sides. With the exception of the older industrial City of Peekskill and the industrial section of the Village of Buchanan and some areas along the River, development in the North County area is predominantly residential. Community character ranges from suburban to semi-rural. Rugged terrain, large public water reservoirs, and heavily wooded areas characterize the area. The largest employer in the Town is the Cortlandt Town Center - a large retail center located on Cortlandt Boulevard, also known as NYS Route 6. Other major employers in the Town are mostly institutions, such as the New York Presbyterian Hudson Valley Hospital Center, Town & Village Governments, the School Districts, and the FDR Veterans Administration Hospital.